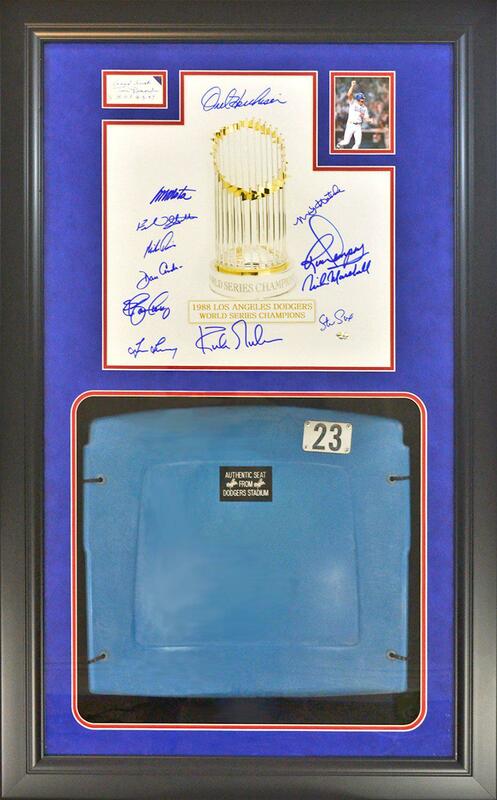 1988 Dodgers signed photo with authentic seat from Dodgers stadium sports memorabilia. Signed by 13 individuals. Certified by Hall of Fame Sports. Frame measures approx. 45 x 27-1/2 x 5 inches.